How to become a Professional Knitter - Robin Hunter Designs: Science or Art? As a professional knitter I have frequently discussed tech editing issues with knitters and other designers. The questions are: What should it cover? What is correct? What is common usage? What does experience level mean. How detailed should I be? What are the space considerations? Do I use Canadian or American spellings? What about knitting terminology? Do I bind off or cast off? How do you punctuate text instructions? Is there a colon or not after row numbers? There are many more questions as well. I've been lucky to work with a variety of tech editors. Two were very experienced, two were just starting out and the others were somewhere in between. I've learned things from all of them. Almost all of them were very clear about what was right and what was wrong. Unfortunately none of them agreed with one another on every topic. I often find myself in the position of having to make a decision on which choice to make. I'm trying to be consistent in my patterns as well as across my patterns. I'm now at the point I don't like to change style or formatting unless I can articulate a clear reason as to why one way is better rather than just different than another. 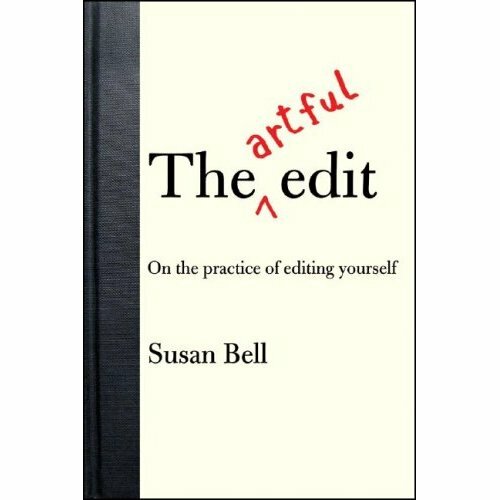 The Amazon review of the book in the photo above says "The Artful Edit explores the many-faceted and often misunderstood—or simply overlooked—art of editing." A few years ago I would have thought that statement was inaccurate, art, what art? There are rules of grammar aren't there? My husband always does a layout review of my patterns after I get them tech edited. He now does a copy edit as well, since we noticed that even good editors miss clear errors in spelling, punctuation and consistency. Sometimes he reverses items back to the way they were before the editor reviewed the pattern. We once spent the better part of an hour reading online grammar references while we debated the use of a comma vs. a semi colon. We found sources in favour of each. I have never thought much about the grammer used in patterns but I recently got a pattern that I am finding difficult to follow. Likely a different grammer style than I am used to! Thanks for this post, it gives me a new appreciation for pattern writers and the care they take! !